The Princess and the Fangirl Review! 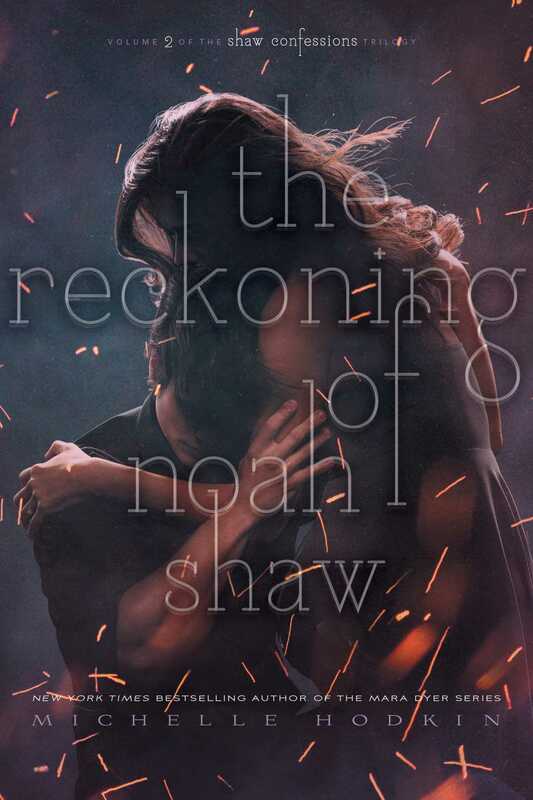 The Reckoning of Noah Shaw ARC Review! Ashley Recommends! L… on Banished Review! February Releases!… on Banished Review! 2015 Favorites! | pr… on What We Saw Review! 2015 Favorites! | pr… on Soundless Review! 2015 Favorites! | pr… on Carry On Review! Thank you to Quirk Books for allowing me to read and review an early copy of this book! This book was absolutely adorable. 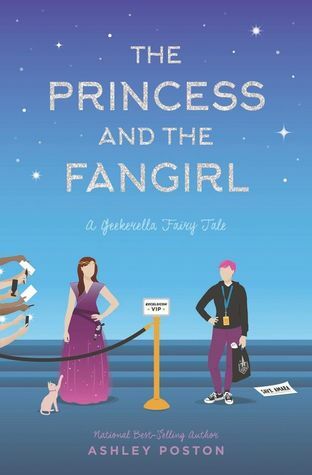 Much like Geekerella, it followed the skeleton of its fairytale and threw in modern fandom culture to mix in. The characters were so lovely and developed. I felt that you could see every action, and every scene where they were mostly in their own head, so vividly. One of my critiques of Geekerella was that it felt like the middle of the book, “Act Two” if you will, was too long and it made me aware that I was reading instead of being completely immersed in the book. In this story, that is definitely not the case. Act Two is just the right amount in length and it made the book fly by for me. I believe I actually read this in two days because I was so addicted. Overall, I adored this book and thought it was a great addition to this universe. It talked about some interesting parts of fandom culture such as nostalgia, possession over characters, trolling, etc. If Ashley Poston wants to continue this world with more books, I would definitely support that. Thank you so much to Little Brown for this advance copy! All opinions are my own. A book I will definitely be thinking about for many years to come. This book is never afraid to pack the emotional punch to get its point across and make you really think about its message. 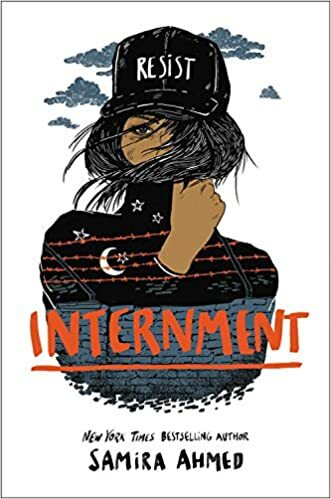 This story follows a young American girl named Layla in a terrifying alternate reality that is too close to our own where Muslims are taken from their lives and put in internment camps. This book grabbed my attention right from the start. From the moment I started reading it, I could not stop reading it. I was so invested in this reality and what it would mean for Layla and her loved ones and Samira Ahmed’s amazing portrayal of human cruelty under the guise of “security”. The characters that we meet in the camps, whether they are staples in the story like Ayesha others only there for a few chapters, are absolutely incredible. Each one gives a unique view to these camps and their time in them and it was incredibly fascinating. I loved Layla as our main character and narrator. She was not a superhero in the traditional sense, she didn’t have any abilities or powers, and yet she became a hero for these people and fought for what she thought was right, even though she was terrified of consequence. She knew they couldn’t sit there and wait for someone to save them, she is an ordinary person who can be anyone in real life. I thought that this narrative was really important to consider. Usually in cases like these on the news or in books, we see more of the protestors or only a couple of the people who are oppressed. In this book, we get to see from a wide range of people in the camp and out of it, seeing just how brutal it can be for those governments fear for their “Otherness”. Although this book was hard to read at some points, it was also extremely important and one I will be recommending for years to come. One of my favorites of the year for sure. I read some really great books in September, some not so great, and some that were just missing something. Let’s see how I did this month! Thank you to Simon and Schuster and NetGalley for this advance copy to review! All opinions are my own. It truly bothers me when a book I am highly anticipating leaves me as disappointed as the Noah Shaw books do. 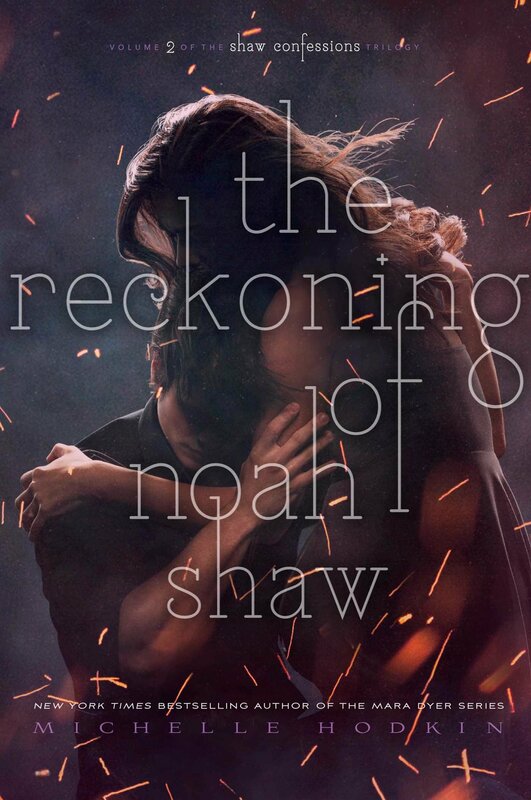 I love the original Mara Dyer book with my whole heart and I was so excited to hear that we were getting more in the world, and from Noah’s perspective none the less. After being disappointed by the first book in this series last year, I was looking forward to hopefully reading a better book this time around. But I was sadly let down again. The main issue with this series in my opinion is that there is no real plot that is evident to the reader until the last third at least. For a good chunk of this book, I found myself truly wondering where the story was going, and still found myself so confused when the plot finally revealed itself. This book felt like a day in the life of Noah. Where the reader just follows Noah around while he’s just as confused as we are. There’s a lot of things happening that don’t seem to make sense and frankly made me frustrated. The one thing I absolutely love in this series is Noah’s narration. This boy is one of my all time favorites and I was so excited that this series would be in his perspective, and it’s the best thing about it. Listening to Noah’s reasoning through plot points and hearing how he feels about everyone he cares about is truly the highlight. I just know that there’s going to be too easy of a fix for that ending in the finale but I truly hope I’m proven wrong. I am attaching my reaction thread, that will do much more to accurately convey my thoughts than a written review. If you told me that I would voluntarily read this book at the end of August, I honestly would have laughed. 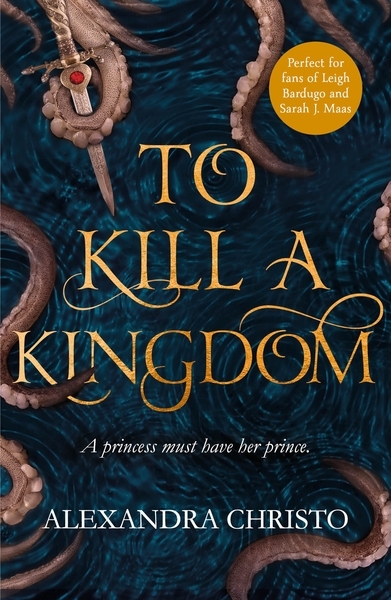 I was dead set on not reading this book and jumping right into Kingdom of Ash , but I was then advised not to do so and that this book was required reading. I am so glad that I loved this book. 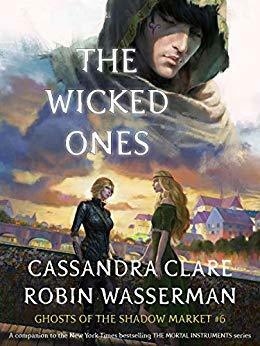 I have always loved Chaol as a character in this series and this book really renewed that love. He really had a true character arc and grew so much, all the characters did really. After the events of Queen of Shadows, I was so happy to see Chaol and Nesryn grow and become ready for the final battle. Another thing I loved is that this book feels like a true Throne of Glass book. One of my main issues with this series is that the past few books have felt like they have become so romance heavy instead of plot and character focused, and did not feel cohesive with the rest of the series. I was afraid that this book would run the same route as those but it was honestly amazing and I am even more excited now for the final book. I have been meaning to read this book for a while now. I had heard about it from friends and have always been intrigued. I do not usually read mermaid books but I picked this one up. I found this to be really well written and amazingly plotted. 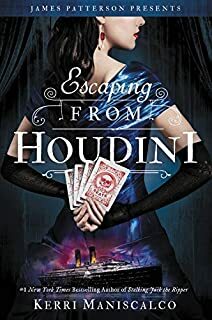 Alexandra Christo is an author that I will definitely be reading more of in the future and is for sure in the right profession for her talents. I also thought that the characters and the dialogue were excellent in this story, as well as the pacing. The only reason why I gave it four stars is that I felt that it took forever to get to the climax. Whatever was done, was done so well, I just felt that it took too long to get to the turning point in the story. This is definitely one of the best mermaid books I have ever encountered. This was a fun love story that I feel could have been a great rom-com movie. I really enjoyed reading this book, the characters were fun, the writing was good, the plot was good, the character dynamics were fun but I ultimately found that I could not give this book five stars when I finished it with a clear head. I just found myself searching for more while reading, I was looking for more emotional depth in the story and could not find it. This story was a fun one, but I wish we could have had some more emotional depth to make it a great one. This book threw me for a loop on page two. You think that it takes place in the past in an old kingdom but then, two sentences later, you find out that you are in space, in the future. The premise of this book is really interesting, a girl from a conquered people who looks identical to the princess of her people’s oppressors being forced to be her body double in every aspect to protect the princess from harm, I just wanted more from the execution. I felt that the author laid out a great foundation for this series as a whole, but I felt like this entire book was just world building. Every time two characters would interact, or something would happen that moved the plot ahead, I wanted to go deeper into that part of the story, but instead, the author just kept providing set up for the series. I know that set up is what first books in a series are supposed to do, but I just wanted more from this one. This was one of my most anticipated releases of the year. When I heard the premise and all the buzz surrounding this book, I knew I had to read it. So when release day rolled around, I stopped everything and read this right away. I really loved the characters and the plot of this book, as well as the messages about community, staying true to who you are, the struggles of change and opening yourself up, those aspects of the book were amazing. However, I found the beginning of this hard to get into for me, I was really aware that I was reading a book and not getting invested into the story until about fifty pages in. However, when this book picked up for me, it got so amazing and addicting, I could not stop reading and really enjoyed this one. I read Vicious about three years ago and loved it so much. Victoria Schwab is also one of my favorite authors, so I was going to read whatever she put out next. I was so excited to hear that she was writing more with these characters though, this cast is so interesting and amazing and Victoria could do so much with them, and I was highly anticipating what she would do. What I got in one of my most anticipated reads of the entire year was an amazing book. Victoria took everything I loved about Vicious and brought it to this book as well as introducing her readers to new characters that are just as amazing and iconic as Victor and Eli – which is extremely hard to do. The structure of the book, the way it was formatted and told was so interesting and unique and kept me in suspense, waiting for the different plot lines to intersect. I hope that we get more in this world, but until then, I will remain total Victoria Schwab trash and read anything she publishes. I started this book immediatley after finishing the first one. 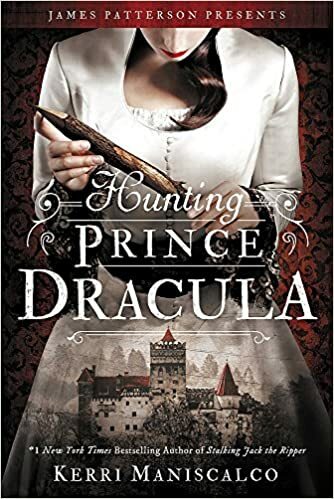 This book was so much fun, following Audrey Rose and Thomas to Romania and seeing them do what they do best felt similar to book one but also gave this book an entire atmosphere of its own. The introduction to new characters and the deepening of the relationship between Audrey Rose and Thomas made this a wonderful second book! Thanks to BookExpo, I am able to get advance copies of Kerri’s books every year. And never was I more thankful to have an advance copy of a book than in this moment. I jumped right into this third installment in the quartet and could not stop reading. I felt that this book in particular really quenched our desire for some romantic scenes between Audrey Rose and Thomas. We know they truly care for one another, but seeing it manifest in this way and seeing them be affectionate for a few scenes was amazing. Some of those scenes will definitely be holding me over until book four comes out, or hopefully BookExpo 2019. The only thing I found a little frustrating in this book was that the setting was so limited. In the previous two, each new victim and plot point felt different from one another while here, each one felt similar. This book is still truly spectacular and this series is a definite favorite. If there was one series amongst my book friends that I had not yet read, it was this one. So I decided that July would be the month that I pull out my ARC from BookExpo 2017 and meet Jude and Cardan for myself. 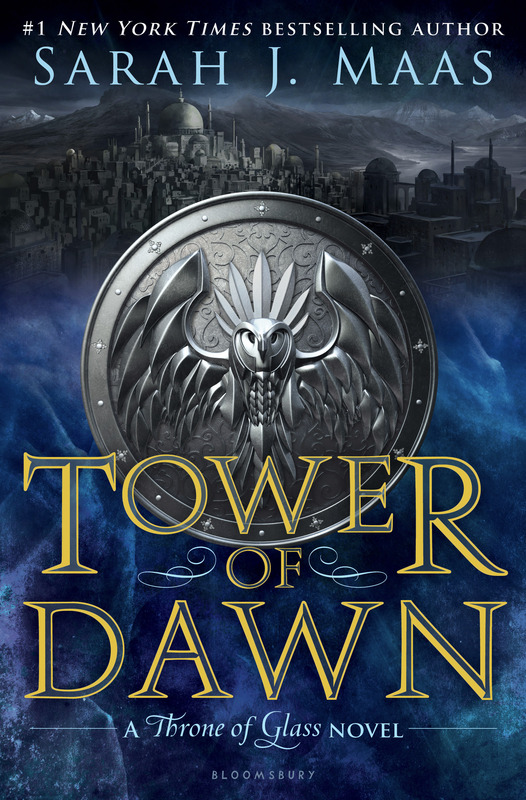 I found this book to be enjoyable and truly unlike any other fantasy I have ever read. The thing that intrigues me the most with this series is that both of our main characters are antiheroes. I don’t think I have ever read a series where the two main characters were in this category. This was a great first book in a series and left me excited for what was to come. Thank you to Edelweiss and Little Brown for sending me a copy of this book! I am so grateful. I…when is book three coming out again? 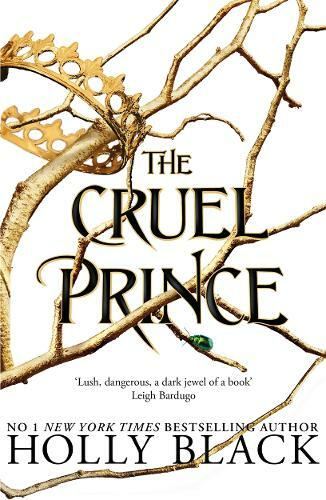 I enjoyed The Cruel Prince so much but I absolutely loved The Wicked King. This book was so much more politically charged and with that, every scene’s stakes were multiplied but a thousand. This was a wonderful upgrade from the physical fighting scenes in book one that pale in comparison to these. Another wonderful thing in this book was the character relationships and interactions. Especially with Jude and Cardan. Having everyone play diplomat and be outwardly proper while having a knife behind their back was absolutely excellent and made this book so great. I noticed, in this book in particular, that this was a story truly about two antiheroes and how they interact. There is no real foil to their actions and that makes way for some interesting events to take place. The last third of this book absolutely wrecked my heart so if you need me, I’ll be in the corner in disbelief until 2020 when book three comes out. Thank you to Edelweiss and Hachette for granting me access to this advance copy for review. When I heard the synopsis of this book, I was immediately hooked and needed to read it as soon as possible. I dived straight into this as soon as I could and started to read right away. In short, this book was stunning. The writing was magnificent. Natasha Ngan made this complex and magical world feel so real and able to picture. The characters were wonderful as well as their relationships with one another. Lei was a fantastic main character, strong, resilient, emotional and even naive at times. She took every experience and every interaction to heart and felt everything so deeply. Even though the circumstances of these girls seem inhumane to the reader, getting to know Lei, Aiko, Wren and yes even Blue, gave the story a layer of empathy. I thought that the metaphor of paper for these girls was absolutely excellent and was referenced many times throughout the novel. If a girl was deemed “unfit” or “dirty” the paper would be seen as soiled or rotten and the palace would punish them in turn. The girls became so afraid of breaking and punishment that they subdued. The use of paper to describe how these girls are seen and then telling the story from the point of view of a girl who defies this and makes her paper status stronger with the fire of love? Absolutely brilliant. 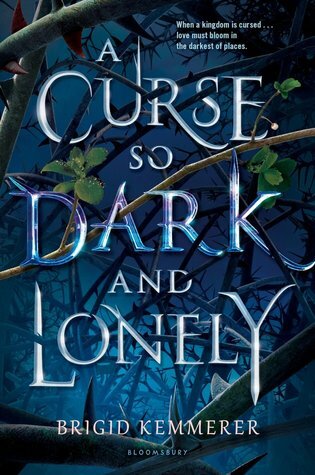 I absolutely loved this book, I had such a great time reading it and I’m going to need the second book (I’m hoping there is one, how could there not be after that) as soon as possible. Thank you to Edelweiss and Little Brown for the advance copy of this book. I have been intrigued by this synopsis since the moment I heard about it. It’s not often that a gay teen is the main character of a young adult book, and it’s even more rare that that teen is so unapologetically open about their sexuality. Overall, I felt that this book was an important read but it did feel overwhelming and hectic at times. When I first started reading this, I was immediately taken aback by how much was happening in such a short amount of time, and I found this happening throughout the book in other places. This is the biggest issue I had with this story because I felt that trying to keep up with everything that was being thrown at me made me disconnect from the overall story itself. Thankfully though, after the first hurdle at the beginning for me, these parts were few and far between. Another thing I noticed right off the bat was the frankness of the language. I had never seen a book where sexual terms were used so frequently. It was quite refreshing actually since, as the book illustrates, everyone has questions and concerns but are too embarrassed to ask. One of my favorite things about this story was how real and authentic Jack as a character was. Especially in reaction to his horrible situation. He gives such in point real life commentary when he discusses how he cannot go to the police with his problem because gay people will not be looked at the same as straight, I clapped in my head while I read this on the train. 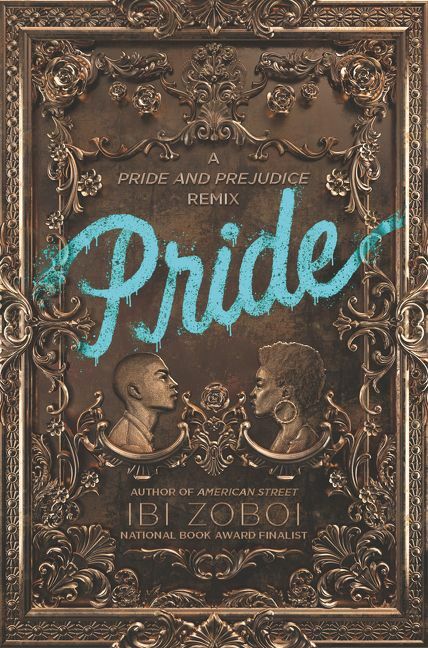 Another thing I really enjoyed about this book was the way it highlighted the struggles of LGBTQ+ individuals going beyond coming out of the closet. In Jack’s emails, he talks about real date experiences and relationships that books revolving around LGBTQ+ characters do not normally touch upon. The only other thing I had an issue with was the resolution to the climax, while there were places where Jack did deal with Pinky in the story, I felt there was no real motivation or conclusion to that part of the story. I would have liked a little bit more on that. 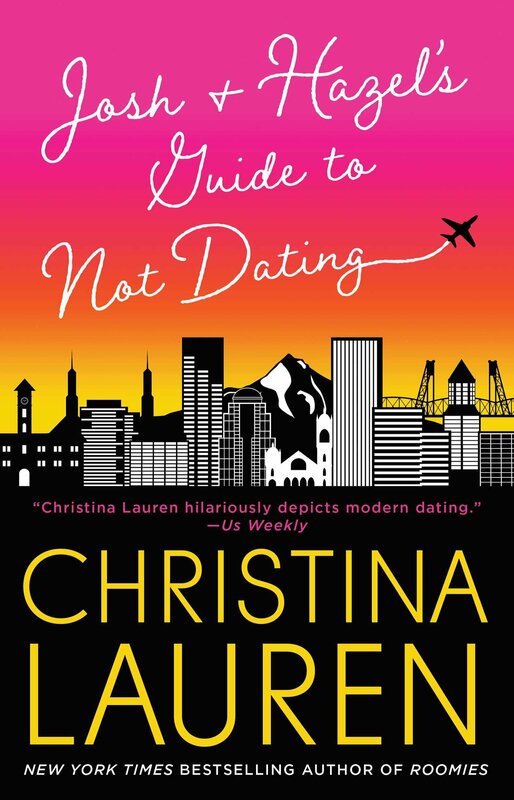 Overall, this book was a fun and important read that I believe should be popular in the contemporary genre. 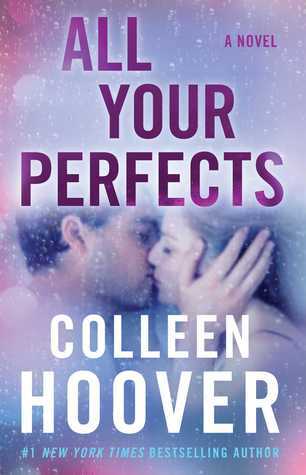 I have been reading Colleen Hoover for years now and I would say that this book falls in the middle of my preferences from her. I picked this up at BookExpo because I know that I enjoy Colleen’s books and while I did enjoy this story and was invested in these characters, I felt a detachment from them as well. The huge emotional smack is delievered too quickly and too late in my opinion and while I felt that everything after that reveal was done extremely well, all the excess leading up to it felt, well like excess. A Colleen Hoover book hasn’t hit me hard since Confess and I was hoping this would be like it, but unfortunately, it was too late for me. Put this on your radar for January of 2019 because OH MAN. I am so happy I picked this off the pile at the Bloomsbury booth at BookExpo this year because this book is excellent. I feel that when it comes to Beauty and the Beast retellings, YA books never quite hit the mark. I have read a few and really did not like them. I went into this book with high hopes but also low expectations. I have never been more happy to be wrong. Everything about this book makes me smile. The writing alone deserves special recognition. The kingdom of Emberfall was so clear to me, I could picture everything that is happening at such a large and intimate scale. The characters were so phenomenal. The two leads, and all the supporting cast felt so human despite being in this fantasy world so different from our own. I also want to point out how the book moved. It is on the larger side but you would never know with how fast you’re flipping the pages. The book has an ending but I hope there is more in this world because I have fallen too deep with these characters and this world to have them leave me now. Jack of Hearts (and Other Parts) Review! Girls of Paper and Fire Review!